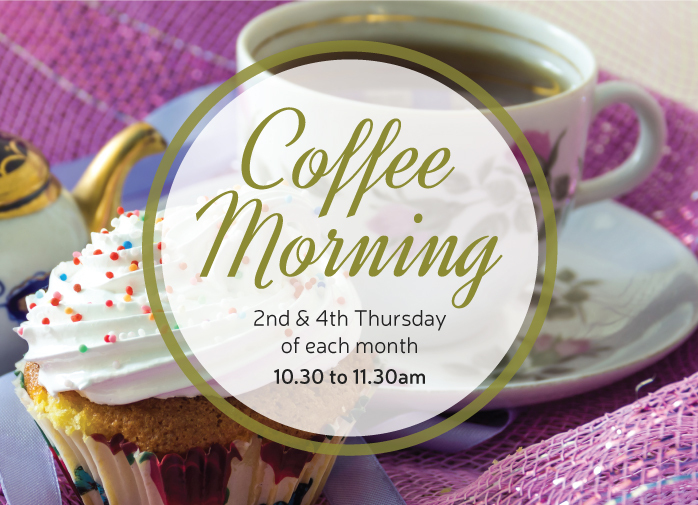 If you’re free on the 2nd or 4th Thursdays of each month we’d love to see you at one of our Coffee Mornings. We provide tea, coffee, biscuits and cakes, as well as good company – all completely free of charge! Children are very welcome too! It typically runs from 10:30 to 11:30, and there is normally a short informal talk towards the end. If you have any questions, or want to find out more about the church, please get in touch, or feel free to browse the website!